The San Francisco Bay Trail, is a planned 500-mile walking and cycling path around the entire San Francisco Bay that will run through all nine Bay Area counties, 47 cities, and across our region’s seven toll bridges. With over 350 miles already in place, the Bay Trail connects communities to parks, open spaces, marinas, transit and to each other, and also provides a great alternative commute corridor. A large section of the San Francisco Bay Trail runs through San Mateo County and Palo Alto, providing scenic recreation for hikers, joggers, bicyclists, skaters, and wheelchair riders. 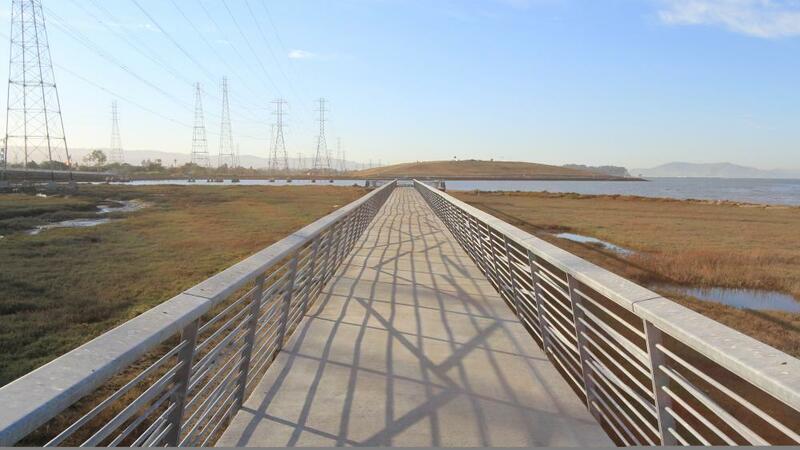 The Bay Trail offers access to marinas, fishing piers, and natural and cultural locations in our destination such as Oyster Point Park & Marina in South San Francisco, Coyote Point and Seal Point Park in San Mateo, the Port of Redwood City and the Palo Alto Baylands Nature Reserve. In addition to the Bay Trail, our destination features other trails located in various parts of the county. For more information on these trails, please click here. Your Bay Trail donation will support outreach and education efforts.